Ropewalks is an area in central Liverpool known for its long, straight cobbled streets that run in parallel lines, which allowed rope manufacturers to lay ropes out lengthways during production. Today, the area is well known for its creative businesses and independent shops, bars, cafes and restaurants. 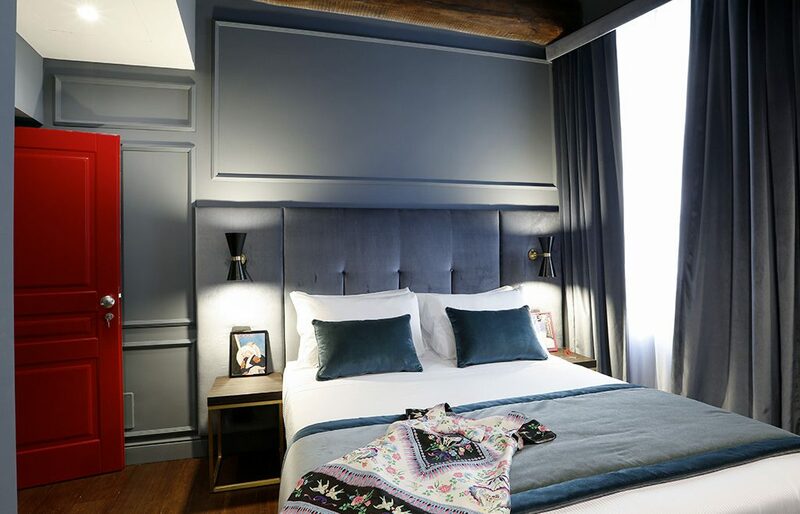 Most recently, though, a row of townhouses that have been converted into a boutique hotel is helping the area thrive. Time has preserved its excellent location — now a strategic position for a hotel – on the main thoroughfare of Duke Street between Liverpool One shopping district, the bars and restaurants of Bold Street, and the cathedrals and theatres of the city’s Georgian Quarter. The building was purchased by local developers Andrew Spencer, Tom Bower and Michael Connolly in 2015. They opened Lock & Key bar in Autumn 2017, and the hotel is due to open a year later in early December 2018. “We fell in love with the character and history of the property,” explains Spencer, whose previous projects have been for the residential market; “and have worked hard to retain as many of the original period features as possible. The central location is ideal for tourists and business travellers”. It has taken hard work and dedication to preserve the building’s character – not to mention a lot of cash. The Georgian shop windows have been faithfully restored, along with the original staircase, and, for as much as is possible, the layout. Fourteen bedrooms are spread across three floors, with petite wet rooms cleverly tucked into the eaves and wardrobes occupying cubby holes and dead spaces. The decor is somewhat of a departure from the city’s current hotel offering of dockland-chic; minimalist apart-hotel; and hen-night-glam styles. With deep skirting painted in deep Farrow and Ball shades, peacock coloured velvets and brass hardware, the interiors evoke a sense of contemporary heritage that Liverpool has been long missing. It’s fair to say that what the hotel lacks in facilities (guests will find no guest lounge, pool nor gym here), it makes up in aesthetics. The front entrance is rather modest – it’s completely separate from Lock & Key Bar, whose entrance is more prominent on the corner of the block. From the reception area, a staircase – enrobed in a thick-pile, chevron-patterned carpet – leads to eight bedrooms above, while a further six are to be found along the ground floor corridor and up the rear staircase. 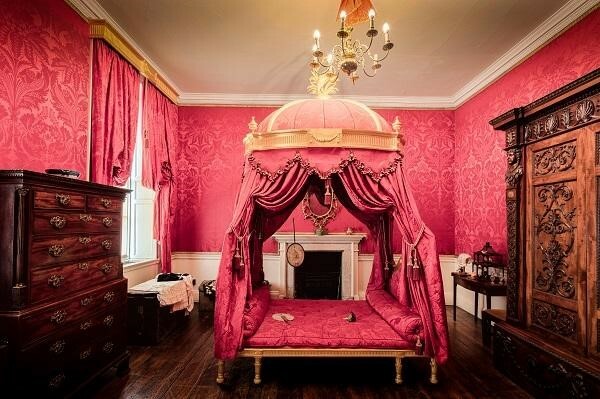 The rooms vary in size from little to large. 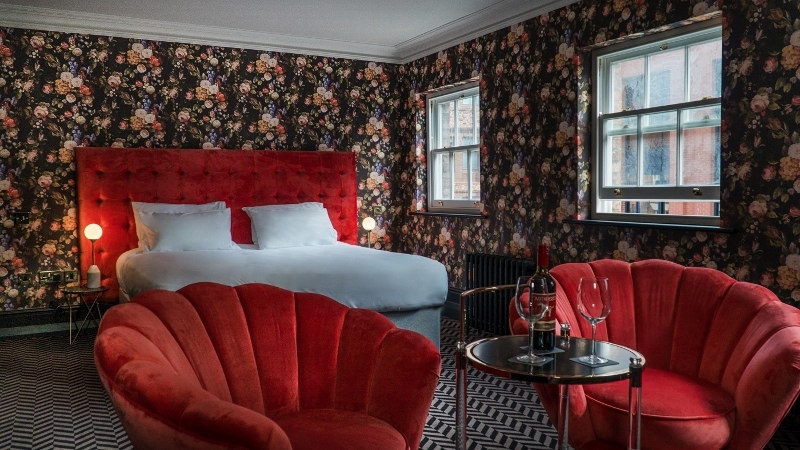 All feature bespoke velvet headboards; some are clad in wallpaper sourced from the likes of House of Hackney and NLXL; and most offer a brass cocktail trolley loaded with local spirits and cut crystal glasses. 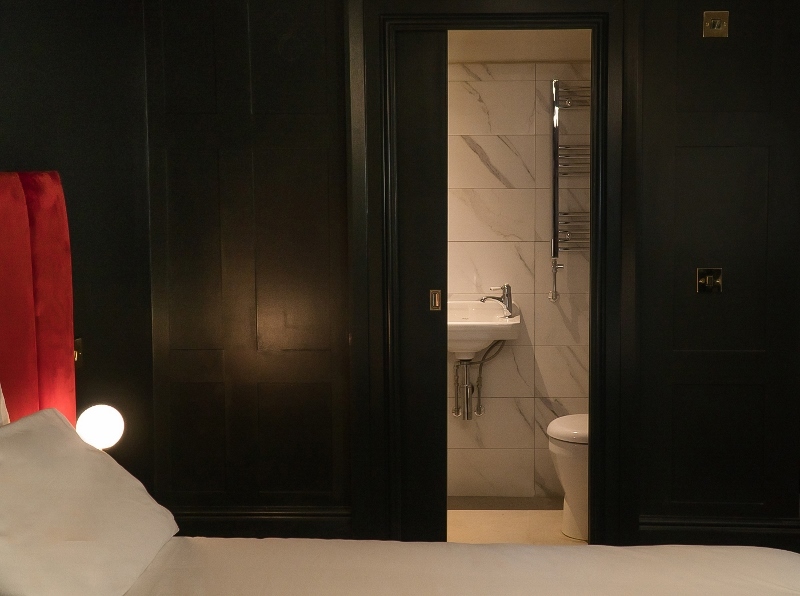 Bathrooms are concealed behind pocket doors, and feature rainfall showers and full-size toiletries. Breakfast is taken in the bar next door. Already established, the bar – which operates under the same name – is another small-but-perfectly-formed space that attracts locals and passing visitors with a bistro-type menu, good cocktail list and calendar of events that includes jazz nights and whiskey tastings. As in the rest of the hotel, its staff are friendly, attentive and confident. Behind the design are local interiors duo House of Sloane. Gemma Tate and Lea Sloane are based between Liverpool and Manchester, and have worked on a number of residential and commercial projects across the UK. They are also accomplished furniture designers, with a small range of bespoke-made sofas and chairs under their belts. Their signature velvet cocktail chairs can be found in each guest room, and their unique approach and thoughtful touches are evident throughout the hotel. To achieve all this, the owners have invested some half a million pounds. That is a lot of money to spend on a hotel in a regional city — but Liverpool is no ordinary place. The Albert Dock has recently been awarded royal status and is home to a Tate gallery, the independent scene is thriving, and the city is consistently named as one of the top ten best places to live in the UK. 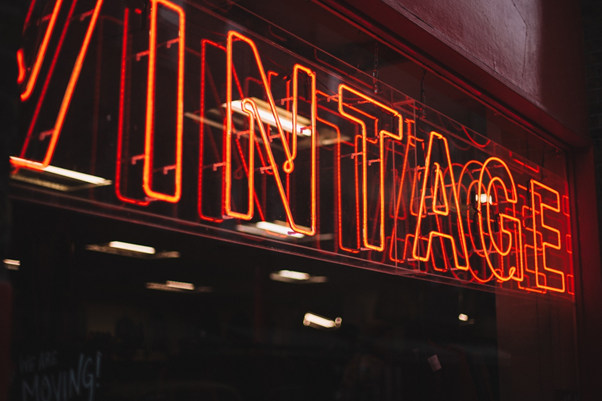 While tourists flock to visit the Beatles museum, Cavern Club, and haunts of the fab four, creatives are pulled in by affordable work spaces, world-class exhibitions and a vibrant digital economy. 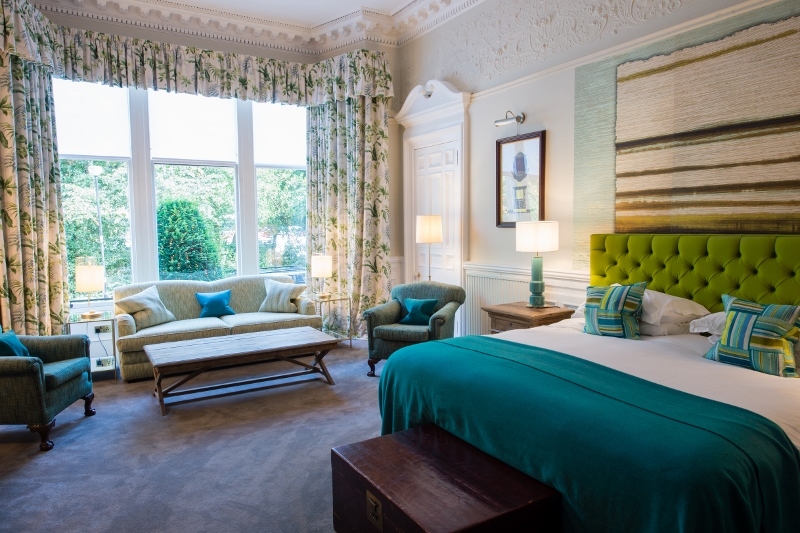 One Devonshire Gardens by Hotel du Vin has recently completed a transformational refurbishment, cementing its status as one of Glasgow’s most iconic and best-loved hotels. The refurbishment encompasses the hotel’s 49 rooms, including its six luxurious suites, and the result is spectacular. 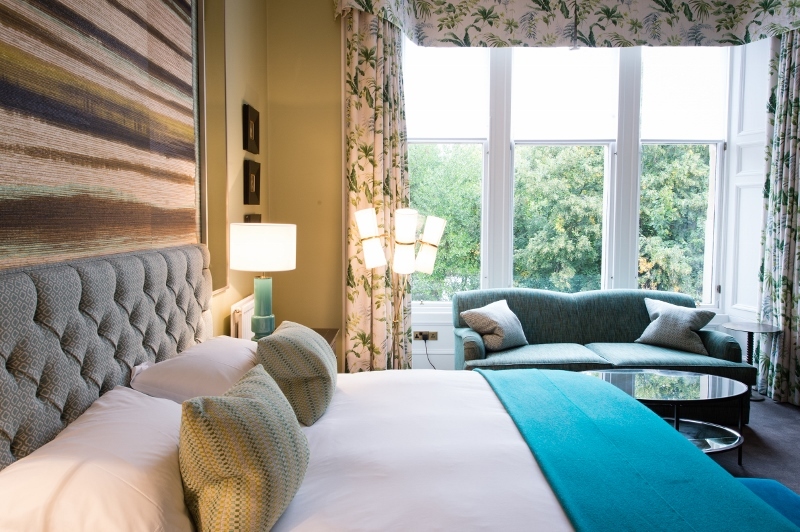 Inspired by the flora and fauna of the nearby botanical gardens, as well as Hotel du Vin’s long-standing association with excellent wines and champagnes, the guest rooms boast fresh colour schemes, accented by rich, seasonal colour features to add brightness and vibrancy. 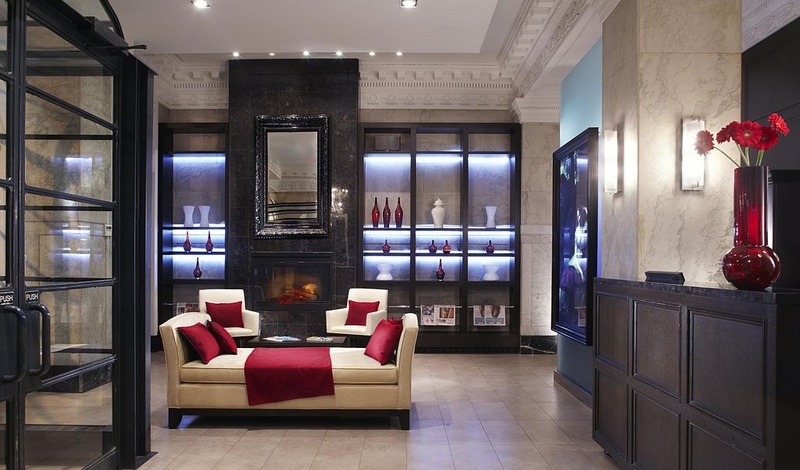 With the hotel’s heritage in mind, the original fireplaces, original ornate cornices and mouldings, along with the magnificent windows, have all been preserved and worked into the overall design. The beautiful style is elevated by sculptural lighting and curated mid-century and re-invented antique furniture, which come together to create an eclectic, original style. Following the refurbishment, the hotel now boasts two Luxury Townhouse Suites – Krug and Toques & Clochers. The Krug Suite has been completely reconfigured and now features a dining area (which can also serve as a meeting room) and a luxury bathroom which comprises a free standing roll top bath and large shower. Toques & Clochers has been elevated to a sumptuous Luxury Townhouse Suite, and now has the potential to be either a one or two bedroom suite. 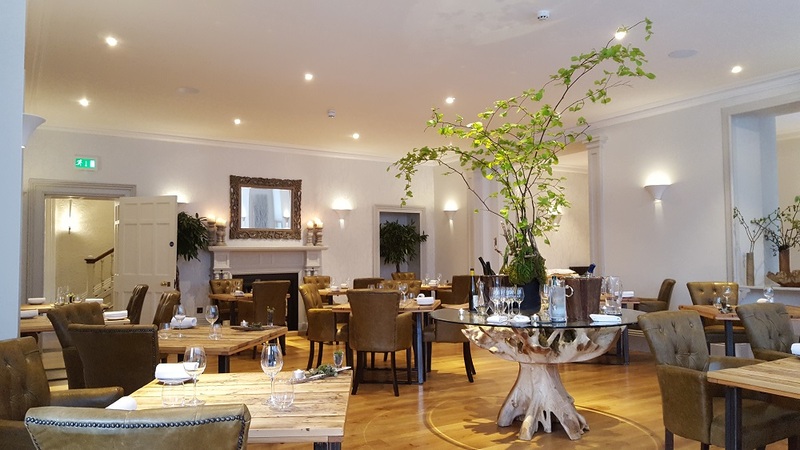 The project was spearheaded by Hotel du Vin’s Group Development Director Jonathan Livesey, supported by well-known interior design business Anita Rosato Interior Design. 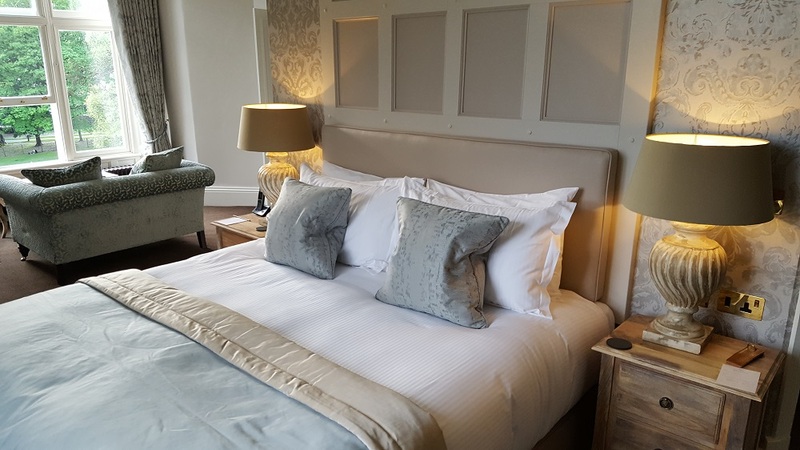 Located in the Glasgow West-end district, the stunning One Devonshire Gardens by Hotel du Vin is made up of five grand 19th century Grade B listed houses connected on the ground floor and first floors, and boasts 49 guestrooms each with its own distinctive architectural character. 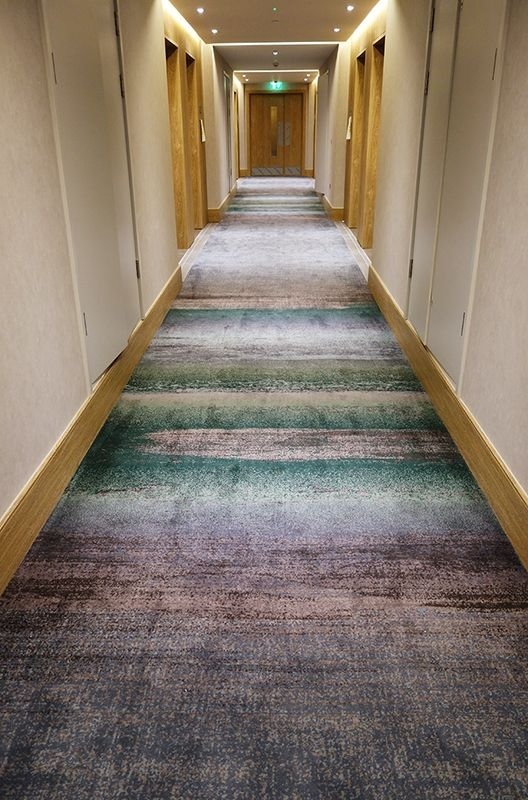 Today’s manufacturing techniques mean the latest laminate and vinyl floors are almost impossible to tell apart from real stone, wood and ceramic – which puts luxe-look flooring within reach even of those of us on the tightest of boutique hotel design budgets. 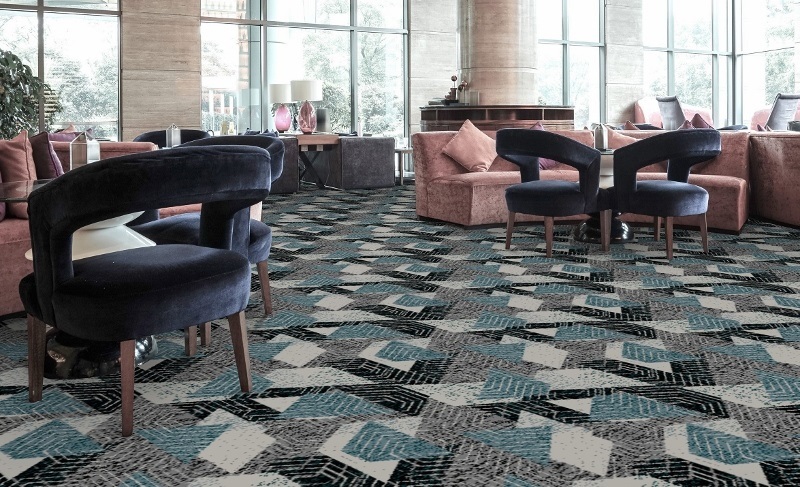 Here are five fabulous and affordable floors. 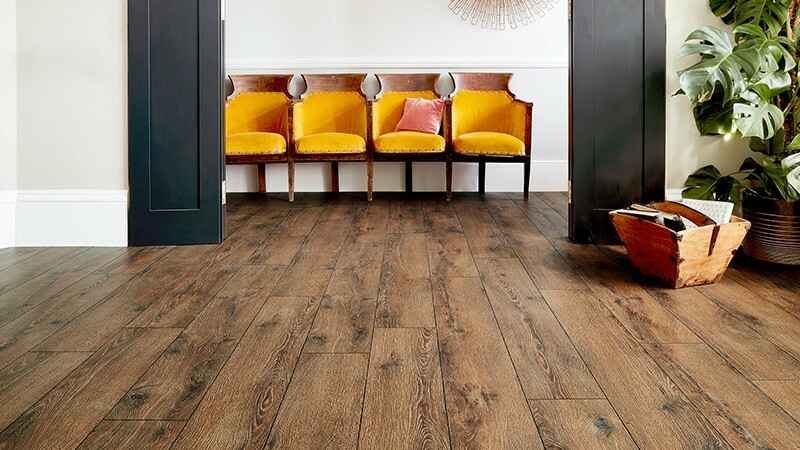 1) UK Flooring Direct Series Woods 12mm Liguria Oak Laminate is a gorgeous chocolate-toned wood-effect floor that will add instant warmth to any space. 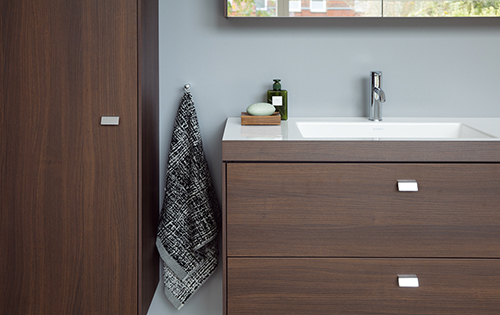 Meticulous attention to detail in the design, including a textured surface that follows the ‘grain’ of the surface layer and classic-length planks with bevelled edges, give this handsome and hardwearing floor an incredibly authentic look and feel, but as a laminate, Series Woods Liguria Oak offers a wealth of practical benefits, too. Its AC4 Heavy Domestic rating makes it suitable for areas of traffic such as living spaces, kitchens and hallways, and it requires minimal maintenance – just vacuum regularly and wipe off any marks with a damp mop or cloth. 2) An eye-catching mix of dark coffee and latte oak tones, Avenue Ultimate Timber PU Pamera vinyl flooring puts a fresh spin on herringbone, 2018’s hottest flooring trend. Capturing the beauty of wood through its subtle grain markings and authentic textured surface, it offers the additional durability and ease of maintenance you’d expect from a quality cushion vinyl, and includes a Superguard top layer that gives protection against spills and stains. 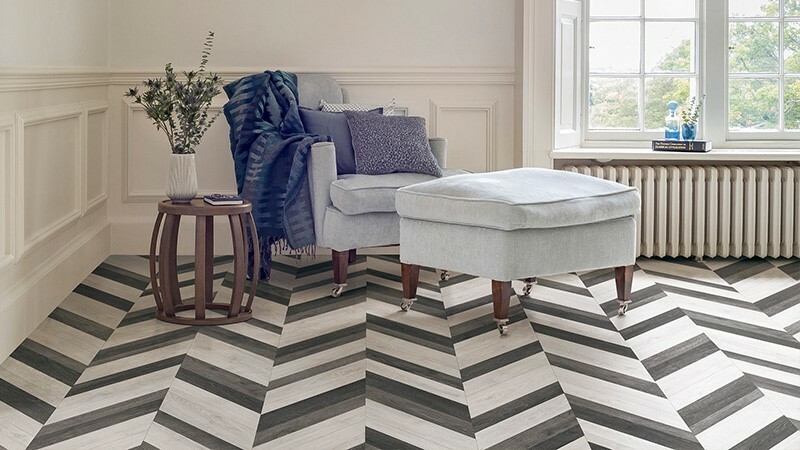 While a genuine herringbone wood floor is one of the most expensive floors to fit, Pamera vinyl comes in two-, three- and four-metre lengths that are a breeze to install, giving you a wow factor floor that’s refreshingly easy on your wallet. 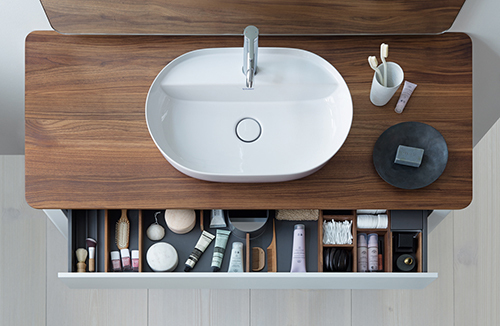 3) For a high-end, sophisticated look that screams ‘luxury’, few materials can beat polished stone – but it comes at a hefty price. 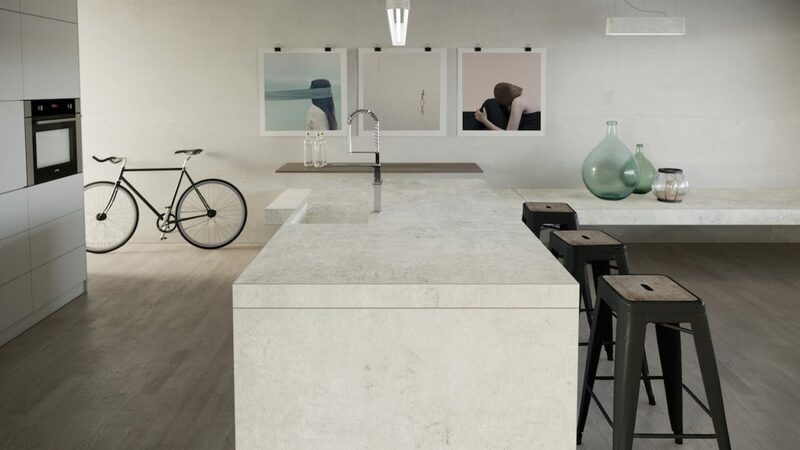 With a textured surface that mimics the feel of real stone, Factory vinyl flooring from Leoline’s Luxury Trends Collection is both good looking and hard working, offering enhanced noise-reducing and thermal benefits (namely a 20db Super acoustic rating and a TOG rating of 0.36). With added R10 slip resistance, it’s ideal for kitchens, bathrooms, or anywhere in the home that spills are common place. 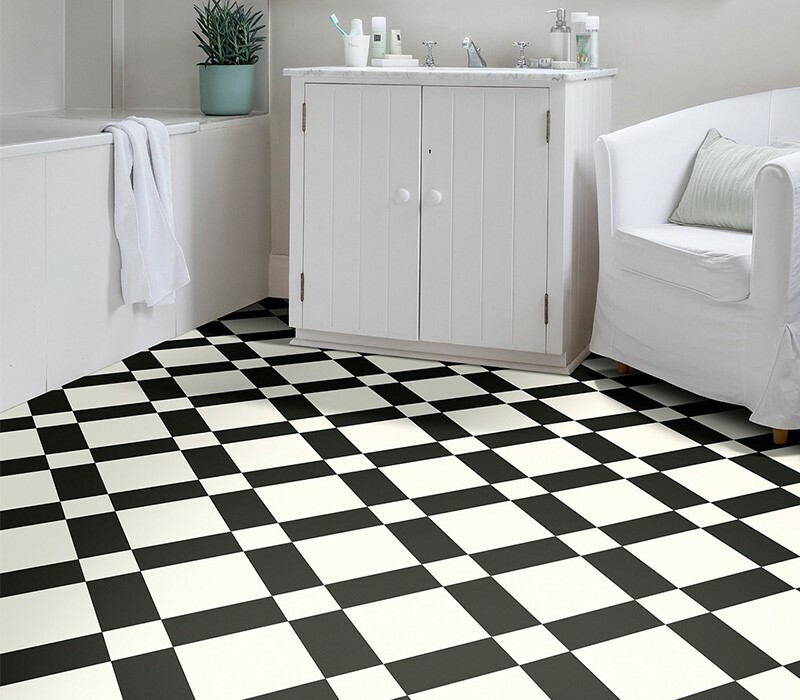 4) Cheat your way to a classic chequerboard tile look with Siena vinyl flooring, from Belgian manufacturer Avenue’s popular Bubblegum & Liquorice range. 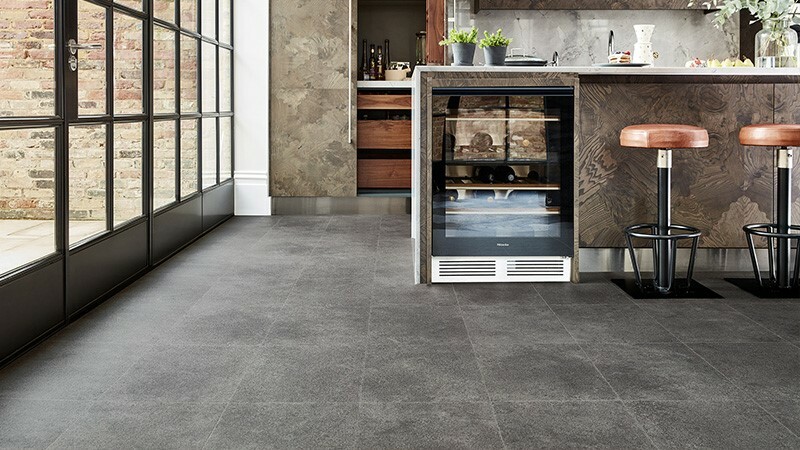 With plenty of ‘give’ it offers a more comfortable (and warmer) feel underfoot than ceramic tiles, and unlike real tiles, it won’t chip or crack if you drop something heavy on it. The ultimate fit-and-forget floor (there’s no need to worry about re-staining or replacing any grout, for instance), it comes in sheets of varying widths to suit any space, and is delightfully speedy – and simple – to fit. 5) When it comes to looks, there’s really no difference between a solid wood floor and an engineered one – but engineered wood certainly trumps solid wood when it comes to price. 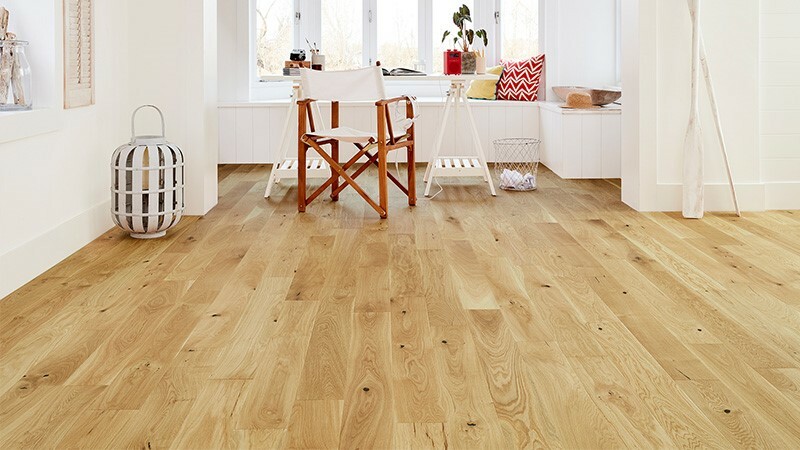 UK Flooring Direct Home Choice Engineered European Rustic Oak Flooring 130mm Brushed & Oiledfeatures a 2.5mm real wood wear layer in a gorgeous honey tone, complete with delicate grain markings, that will bring a laidback, welcoming vibe to any room. Its sturdy three-layer construction makes it more stable than a solid wood floor and less liable to shrink or expand when the temperature fluctuates, while its 5G click system allows for fast, easy DIY installation; there’s no gluing or nailing required – just put down underlay and get fitting.